Evolution Mining has greenlit an expansion to the Cowal gold processing plant in New South Wales 12 months ahead of plan. New Hope Group’s New Acland coal mine has received recognition from the Queensland Government for having the single largest area of certified rehabilitation of any open cut coal mine in the state. Newcrest Mining is on track to expand the Cadia gold operations in New South Wales with a much lower investment than previously expected. Regis Resources has received board approval to expand its Rosemont operation. 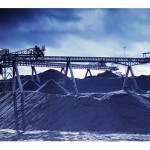 An underground mining operation will be developed directly below the current open pit next year. Tantalum-focused Global Advanced Metals (GAM) has claimed that the approval of Talison Lithium’s $512 million expansion plans in the Greenbushes mining area are subject to the terms of a mining agreement between the two companies. 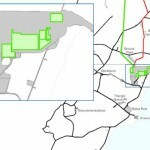 The Austar Coal Mine will go ahead with an extension of three new underground longwall panels, thanks to approval from the Department of Planning and Environment. 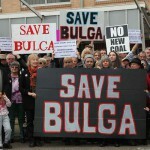 In the wake of final approvals of the Warkworth coal mine expansion, Bulga village residents have pledged to use civil disobedience to continue the fight against the mine. Dalby Courthouse will hold a series of hearings today for objectors to the New Acland coal mine expansion near Oakey in Queensland. Gold miner Newmont has flagged potential plans to Barrick Gold’s share in the Kalgoolie Super Pit. The federal listing of 400 acres of critically endangered forest may threaten the approvals process for the Mt Thorley-Warkworth coal expansion project. Even before completion, the Gorgon LNG project has been given the nod for expansion to a fourth train. Approval for expansion of the New Acland coal mine, will provide opportunities for up to several hundred new jobs across construction and operation. BHP Billiton has lodged an application to construct and operate a demonstration plant for new leaching techniques at Olympic Dam. Hillgrove Resources has received approval from the South Australian Government to extend the life of its Kanmantoo copper mine. Rio Tinto is formalising plans for a new massive pit at its Yandicoogina operation in the Pilbara. 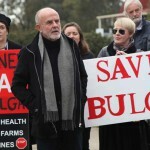 The NSW Department of Planning has been accused of being “hopelessly biased” towards the mining industry in a PAC public hearing. 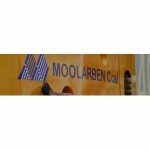 Yancoal has received approvals for the expansion of its operations at the Moolarben coal mine.